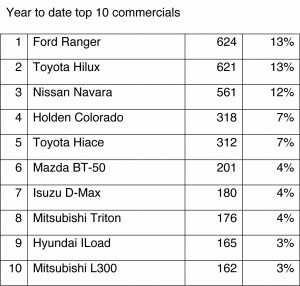 SUVs continue to dominate sales as the new vehicle market powers into 2014 with registrations of a record 19,455 units in the first two months, says the Motor Industry Association. 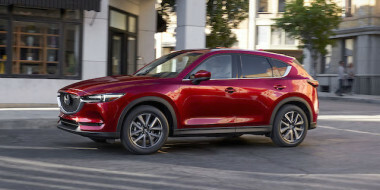 Industry executives are already talking about a record sales year of between 117,000 and 120,000 new vehicles, up considerably on last year’s 113,177. 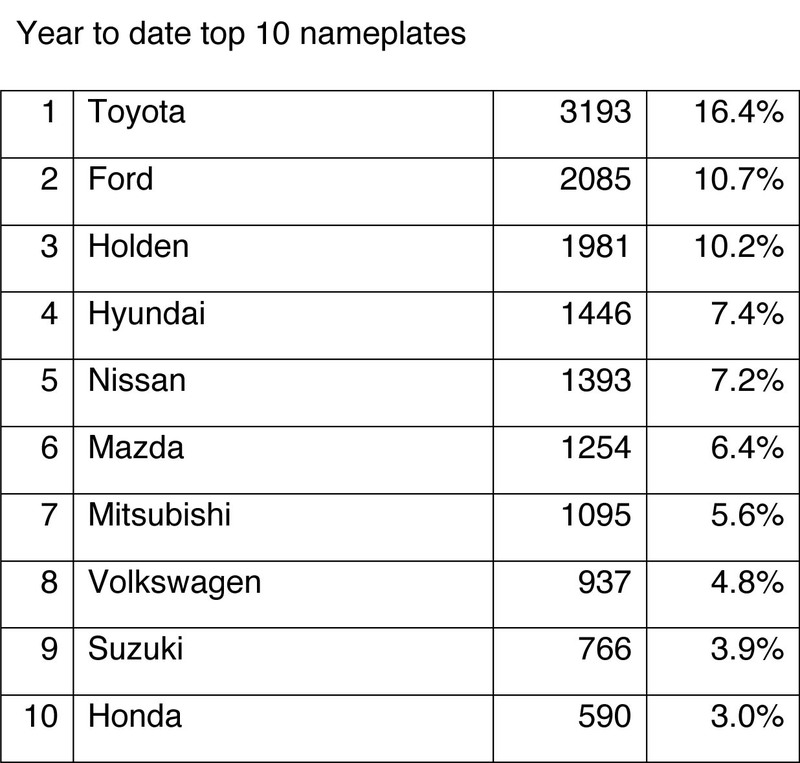 SUVs accounted for 27 per cent of 2013 numbers – this year they are so far running at 31 per cent, led in February by the Holden Captiva (above). 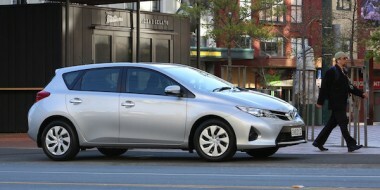 The second most popular vehicles after the first two months are light commercials and small cars, each with a 19 per cent share. “February was the fifth month in a row where monthly registrations year on year have been the highest since the MIA began collecting records in 1981”, says its CEO David Crawford. January registrations were 10,397, a record. February’s were 9058, up 1111 vehicles (14 per cent) over the same month last year. It was also the highest February sales since the MIA began collecting records in 1981. 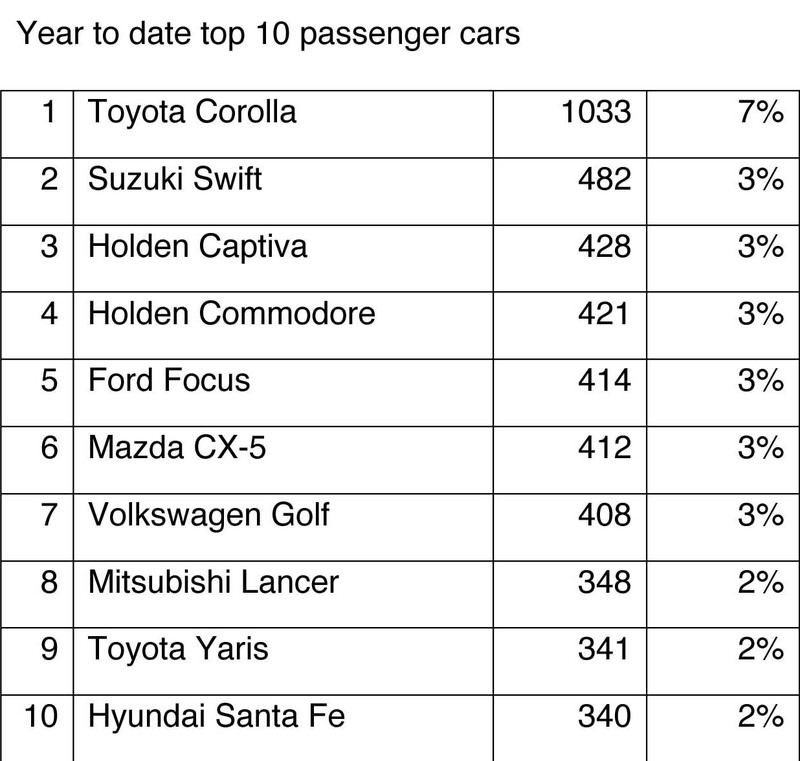 Toyota was the overall leader in February with 15.0 per cent of the market (1363 units) followed by Holden with 10.5 per cent (949 units) and Ford with 9.9 per cent (894 units). 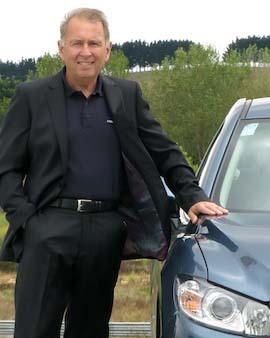 MIA president and Mazda NZ managing director Andrew Clearwater is confident the new vehicle industry will remain strong over the next several years. “There are a number of factors that will contribute to this,” he said. “Firstly, economic strength; secondly, growth from the sales of vehicles that weren’t replaced during the global financial crisis; and thirdly, the attractiveness of buying new over used. 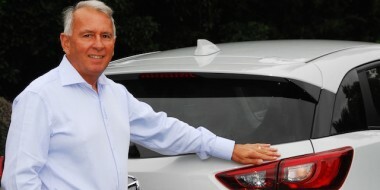 “Prices and overall value, including service support and warranties, is stimulating the private market into new (vehicles) and this segment last year showed close to 19 per cent growth ahead of other industry sectors. 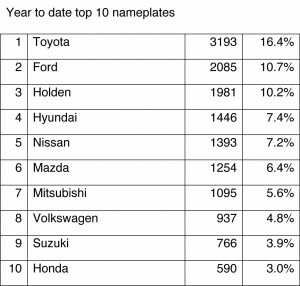 “This trend continued into January where almost 10,500 new vehicles were sold, the best on record, with private sales 34 per cent of the mix. 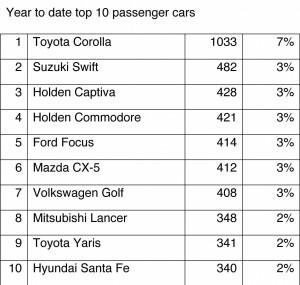 The three best selling passenger cars in January and February were the Toyota Corolla, (1033) Suzuki Swift (482), and Holden Captiva (428), the Corolla’s numbers boosted by sales in January of 451 rentals. 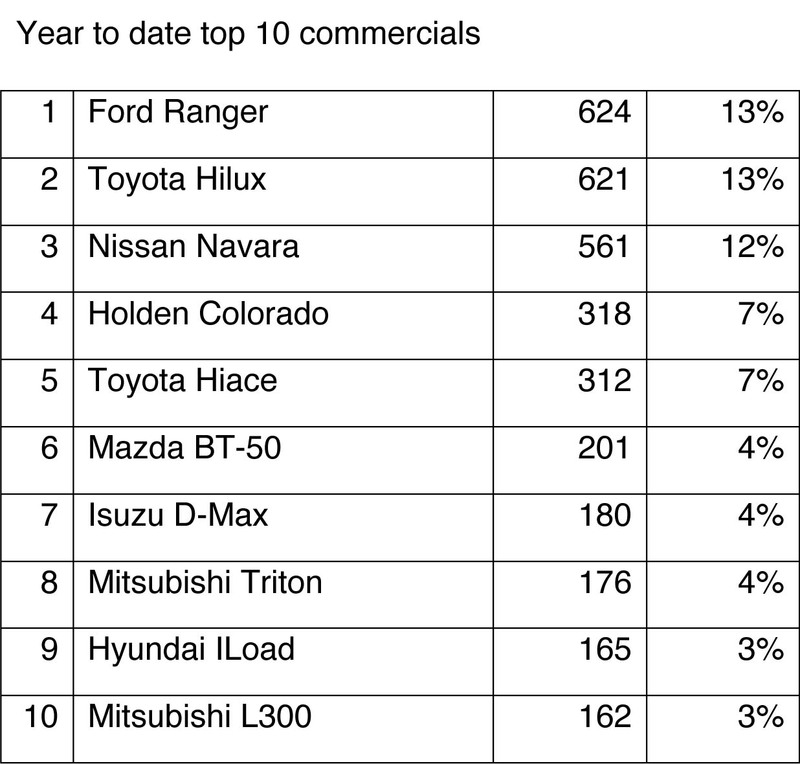 Commercials for the first two months were led by the Ford Ranger (624), Toyota Hilux (621) and Nissan Navara (561). 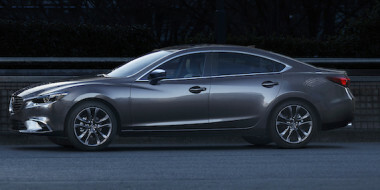 The luxury segment was bunched up at the end of February: BMW had sold 369 units, Mercedes-Benz 365, and Audi 359.